The Congress-led government in Kerala has decided to carry out field-level verification in the Western Ghats to demarcate forest land as Ecologically Sensitive Area (ESA) in the villages identified by the Kasturirangan Committee. This move has led environment activists to allege that the government is trying to regularise land encroached upon by settlers. The government has started a field-level survey to refine block-level maps of ESAs. These maps were prepared by a state panel that reviewed the recommendations of the Kasturirangan Committee appointed by the Union environment ministry in 2012. “The Kerala government has apprised the Centre of its stand that only forest land now protected by the forest department would be recommended for demarcation as ESA. The government’s stand is clear. Farmland will not be counted as ESA,” said Chief Minister Oommen Chandy at a press conference. He pointed out that over the years, a lot of people had settled in the Western Ghats region and that the villages were highly populated. The field survey is being conducted by village panchayat committees chaired by the president of the panchayat. Each committee comprises a village officer, forest range officer, agricultural officer, an official of the survey department and the panchayat secretary as members. The team will earmark protected forest land under a particular survey number and categorise it as ESA while giving another survey number to a farm land within a forest. District collectors will coordinate the exercise. The Kerala State Biodiversity Board will compile a report on July 27 and send it to the Ministry of Environment, Forests and Climate Change (MoEF&CC). 2011: The Madhav Gadgil Committee submitted its report to the Centre, stating that almost three-fourth of the hills, including plantations, cultivated lands and large habitations, be turned into a restricted development zone. The committee was the first to be appointed by the government for conservation of the Western Ghats. 2012: The Kasturirangan Committee, set up to study the Madhav Gadgil Committee report, identified only 37 per cent of the Western Ghats as ecologically sensitive, causing a revision in the Gadgil Committee report recommendations. 2013: In October, the Kerala government set up a three-member panel under Kerala Biodiversity Board Chairperson Oommen V Oommen to study the recommendations of the Kasturirangan Committee. The state panel brought down the area to be notified as ESA. 2014: The state panel submitted its report to the government in January. 2015: On July 17, the state government decided to conduct a field survey to refine block-level maps based on the recommendations of the state panel. The survey began on July 23. Ecologists and green activists in the state have strongly condemned the government’s move. They point out that there have been many encroachments by settlers even after the formation of the Centre’s Forest Conservation Act, 1980. They allege that the settlers are highly influential and enjoy the backing of a section of the Catholic Church and political parties. In 2002, the state government led by Congress’ A K Antony had regularised all encroachments before 1977. “The present survey is to regularise all illegal forest encroachments,” says V S Vijayan, former Kerala Biodiversity Board chairperson and member of the Madhav Gadgil Committee. From the conservation point of view, Vijayan adds, the Gadgil Committee recommendations were diluted by the Kasturirangan Committee and further diluted by the state panel. Harish Vasudevan, lawyer and activist, calls the government’s decision to demarcate only protected forests as ESAs illegal. “The government cannot regularise the encroached forest land by giving it a non-ESA status, as it comes under the Forest Conservation Act, 1980. Besides, ESA has been defined under the environment protection Act applicable to non-forest areas too,” he says. The state forest department is engaged in a legal battle over encroachments and many cases are pending in various courts, including the High Court and the Supreme Court. “The government will lose its claim on these lands once it demarcates only the protected forest land as ESA,” Harish adds. Activists argue that the government should evict illegal encroachers and seize the forest land before it starts demarcation of ESA. “Whenever conservation efforts are initiated, both the Congress-led United Democratic Front and the Communist Party of India (Marxist)-led Left Democratic Party highlight farmers’ livelihood issues to cover up the illegal encroachments,” says C R Neelakandan, an environmentalist. Cardamom Hill Reserve not a forest? The chief minister stated that the Cardamom Hill Reserve in Idukki district will be classified as non-ESA. 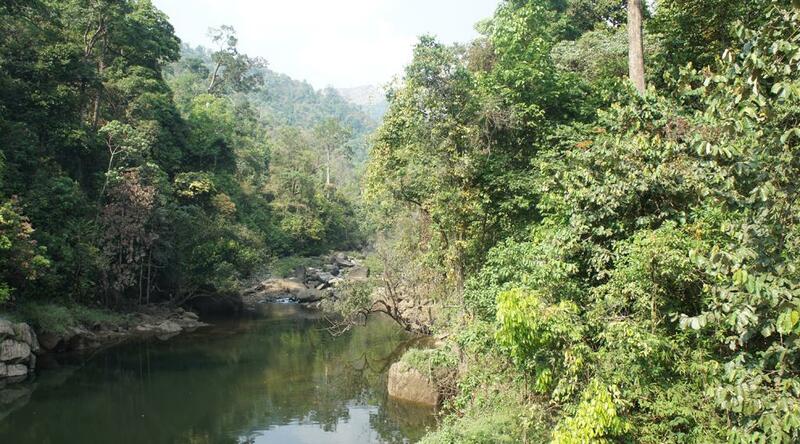 The reserve is a huge swathe of evergreen forests spread over 870 sq km in the catchment of the Periyar river. It is ecologically fragile and is located between 760 metres and 1,060 metres on the western slopes of the Western Ghats. Cardamom used to grow naturally on these slopes over vast stretches. Though notified as a reserve forest by the erstwhile Travancore government in 1897, large areas of the forest were leased out for cardamom cultivation. A portion of the reserve falls within the Mathikettan National Park. There have been many encroachments here in the name of cardamom cultivation, and encroachers have indulged in large-scale tree-felling. In 2002, the Antony government-led decision had regularised encroachments spread over 20,000 hectares in this reserve. A field visit to the Cardamom Hill Reserve in 2004 by the Central Empowered Committee of the Supreme Court, headed by P V Jayakrishnan, revealed a large number of cases of tree-felling, illegal sale of land, large-scale encroachments, transfer and sale of land and consequent deforestation. “Cardamom Hill Reserve is ecologically sensitive as well as fragile. However, large-scale destruction of trees, miscellaneous cultivation and land conversion in the Cardamom Hill Reserve has been continuing and this is one of the major reasons for the frequent flash floods and landslips in Idukki district,” says Tony Thomas of One Earth One Life, a non-profit fighting a legal battle in the Supreme Court against encroachment in the reserve. The survey has met with opposition even from some leaders within the Congress. For instance, V D Satheesan, a Congress MLA, has sought a review of the government’s move in a Facebook post. He has pointed out that the ongoing ESA demarcation will adversely affect the government’s efforts to recover thousands of hectares of forest land from encroachers. Activists are planning to approach the court against the ongoing survey for demarcation of ESA.